Le Folle de Maigret (1970) was translated as Maigret and the Madwoman in 1972 by Eileen Ellenbogen. A little old lady asks Maigret to visit her apartment and listen to her concern, but she is smothered to death before he makes the time. Angry with himself, he questions three suspects – a middle-aged mannish masseuse, her sleazy boy toy, and her boho son. Lots of plusses make this one a better than average Maigret. The old lady is a more vivid character than the typical victim. Simenon skillfully gets across the spring in Paris and Maigret’s thought processes. The reveal is a genuine surprise. Madame Maigret has more than her usual cameo appearance. We have to conclude that his wife makes Maigret a better cop, a better leader, a better man. This 1962 Perry Mason novel is readable enough for a lazy Sunday afternoon in late summer. But the story is so-so. We’ve seen before the victim that nobody will mourn and the attractive client lying such that her pants catch fire. A point in its favor is that Gardner shows that he did his homework when it came to keeping current in the field in that he uses a law, newly passed in California in the early 1960s, that allowed a DA to grant complete immunity for committing a crime in exchange for testimony that would incriminate the witness. Some critics and readers – like me – dislike the Perry Mason novels written in the 1960s. Others say that the mysteries written in the 1950s represent a falling off. Still others say the novels written before WWII are better than the ones written after. Me, I can read them all, as long as there are heat and humidity that make it impossible for me to read harder novels. Any excuse not to do yard work on a summer Sunday will click with me. After watching a documentary on the Dust Bowl, I have become very interested in it. While nothing like what these individuals experienced, I remember growing up in East Texas as a child and the small dust storms there. I can recall the grit in our home and between my teeth. I haven’t forgotten the sting of the sand as it hit my legs. As an adult I experienced a dust storm here in Oklahoma, where the sky was darkened, and the air so thick I felt I would suffocate. These small events in my life have me in awe of what the people of this era dealt with, and not for a few days but for years. This book made me realize how incredibly courageous and resilient dust bowl families were. Instead of this part of history being told through the eyes of an adult, the author does it through the eyes of 10 year old Pearl Spence. A child’s view is very simple, but it is also glaringly honest. Although Pearl does not understand everything she sees and experiences, her account is authentically candid. So vivid are the descriptions of life in this Oklahoma town that I could feel the discouragement and desperation of the characters. Her mother’s constant battle to keep her home clean and maintain a normal family life was heartrending. It is clear the large role adult’s attitudes and actions play in how a child handles a crisis. Pearl’s grandmother, mother, and father were an anchor for her in this unsettled time. I better understood the despair and fear of never knowing when another dust storm would strike or when the nightmare would end. 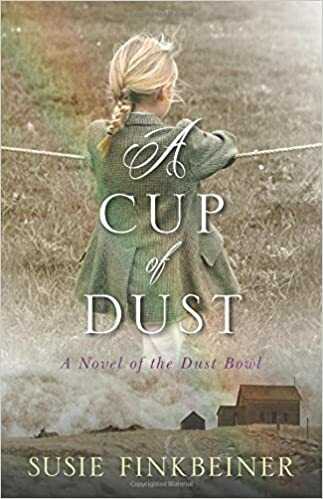 The author was brilliant with the way she took amazing historical details, brought to life powerful characters, and then created a story filled with danger, mystery, and excitement. A fantastic read! Come vote in this week’s Review Contest! We had a lot of really enjoyable book reviews this week! It was difficult to choose, but here are the finalist reviews. To vote: click the links below, and choose Thumbs Up on the review. You can “Like” (or Share) the review to double your vote! The winning review will appear in the PaperBackSwap blog, and the winning reviewer will get a FREE book from her/his Wish List! This Perry Mason novel from 1964 should not be confused with Phantom Fortune, a novel by Mrs. Braddon, the author of the still worth reading Lady Audley’s Secret. Long-time readers of this blog know that I’m mildly unimpressed with Gardner’s output of the 1960s. He asks for leaps of faith and suspensions of belief that are beyond me. But notice that I still read them. While doing so, I look on the bright side. The upside of this one is that Perry Mason re-assumes his hard-boiled manner of the novels from the late 1930s and early 1940s. He tells a blackmailer of the three ways to deal with a blackmailer: pay up, go to the cops, or kill the blackmailer. He lets the blackmailer conclude that Perry will indeed snuff him if he persists in his demands. Another upside is that the blackmailer ruthlessly exploits the guileless youth. He also has a George Sanders-type charm that is smooth and reptilian. He’s a scary creation, more memorable than Gardner’s usual greedy businessman or desperate lover. The main appeal of this one is its twists and turns. So I don’t want to give away incidents in a review. I think any Mason fan will like this one. Published in 1977, this is a classic cold war thriller. A top Russian spymaster signals that he is willing to defect. The directors of the British and American secret services ruthlessly jockey for the best positions to take the prize. And while the elephants fight, it is the ant Charlie Muffin, seasoned operative, that finds himself at the highest risk of being stomped. Born in the working class north of England, Charlie offers his betters as much upward contempt as he can deliver by dressing badly – Hush Puppies, for pete’s sake – and banging a daughter of the land-owning elite. In the 1970s, spy writers often used a derisive tone when describing people in power. In this novel, the head of the British spies, an ex-Army man, plans the operation with different colored push pins decorated with little flags. During his off hours, the Russian general that planning to defect replays the Battle of Kursk with toy tanks on his living room floor. The head of the CIA is a power-hungry psycho. Since he gives leaders such a resounding Bronx Cheer, Freemantle is clearly an ex-journalist. This novel was the first of 16 Charlie M novels. The tradecraft seems plausible and, in contrast to many thriller novels, people suffer adverse effects from drinking too much alcohol. Those into a lite John LeCarre would probably enjoy them as would readers who like Ross Thomas. Charlie M is the US title, Charlie Muffin the UK title. These are the finalists in this week’s Book Review Contest! Did you like Jhumpa Lahiri’s “The Namesake”? You won’t want to miss “Free Food for Millionaires” by Min Jin Lee, then – Book Review Contest Finalist “Bookfanatic” says it really “captured the second generation immigrant experience” in the same way. Read her review and click thumbs up to vote for it (and “like” it to double your vote)! A book that likens a spiritual journey to a rummage sale? Believe it or not, it works, says Lizzie G (lizzieg88) reviewing “Out of Sorts” by Sarah Bessey. Vote for her review in our Book Review Contest – click thumbs up to vote, and double your vote with a “like”! Kelly S (getinmybellykelly) says “This wonderful book should be required reading for everyone.” Read her Book Review Contest Finalist review of “The Things They Carried” by Tim O’Brien, and click thumbs-up to vote for it (and “like” it to double your vote)!